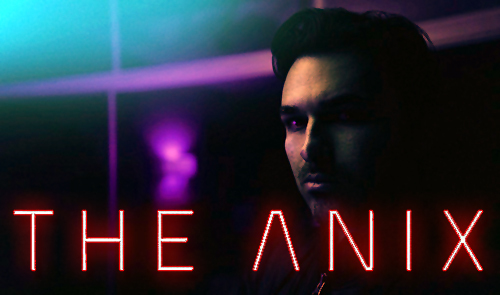 Having recently signed with independent electronic label FiXT music, The Anix – the Los Angeles electro/rock project of Brandon Smith – has unleashed its brand new single, titled “Fight the Future” via YouTube. With The Anix now fully transitioned from a band to Smith’s own solo project, “Fight the Future” showcases his strengths as both a producer and songwriter, with ethereal and pulsating electronics topped off by shimmering guitar textures and Smith’s darkly emotic and melodic vocals; everything The Anix has been up to now, but streamlined with a more sharply singular focus. Cinematic in scope, anthemic in its tone, and infectiously rhythmic, “Fight the Future” is just the first taste of the upcoming full-length follow-up to 2017’s Ephemeral. The Fight the Future single, which includes the song in both vocal and instrumental versions, is available for pre-order now via the FiXT webstore and Bandcamp, and can be heard via Spotify. Fight the Future releases April 20, with the full-length album to follow in Fall of 2018.